The digital team have expertise in filming and post production. We regularly create video content, that varies from video news releases, recipe videos, stunt videos, charity appeals and even beauty tutorials. How Gaming and Education are Converging? We design and produce infographics to suit a variety of different websites. Infographics are extremely effective as they break down the research within a story, which makes it more visually appealing and easier to consume as a reader. To educate people on what is going on in the finance and investment industry and advise on different ways that people can become financially independent while also making sensible and well advised investments. For this campaign with Bartercard an infographic was the chosen content to be created. It looked through the ages at the changing face of money, highlighting that things may have come full circle with the likes of bitcoin and bartering being used. An infographic exploring the history of British holidaying and the first Butlin’s opening in 1936. Butlin's used their 80th Anniversary and British Travel Week as a hook to release lots of their archived footage as well. This was a widely accepted story from journalists. 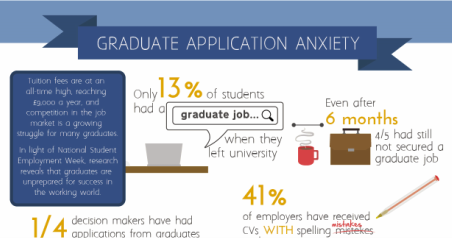 Aimed at the ever growing student population in the UK this infographic shines a light on how students are not prepared for success in the working world. Released during National Student Employment Week it had a great pick up from the media. One of the biggest shopping days of the years for consumers, but a struggle for small businesses. This infographic was teamed with a video that explained how SMEs could prepare themselves for the high influx of orders expected on Black Friday. A personal favourite in the office, this infographic ran through the twelves toys that shaped our childhoods from 1980 to celebrate the 30th anniversary of Toys R Us. Instantly this infographic was picked up by journalists. Wildcard – No matter what the wildcard is, you will be sure to want to try it! On this campaign, we worked with the very lovely Madeleine Shaw to create a fun and fast recipe video using Raw Cacao. Journalists were very interested in Madeleine and the Vegan topic was also a selling point of the video. Who ever knew Chocolate Brownies could be healthy?! This was a a great piece of coverage in the Mirror looking at 80 years of Butlin's holidays. An infographic and video that were produced for the purpose of this campaign were used alongside lots of nostalgic images of British holidays. this also gained coverage on Mail Online, The Express and The Metro. This was an exclusive piece that we offered to METRO. Working with the head chef from London Cooking School L’atelier des Chefs, we created a ‘Top 9 Street Foods You Can Make at Home’. The head chef provided us with a description of the dish, along with a ‘top tip’ when making the dish. For this campaign, we teamed up with Bartercard. 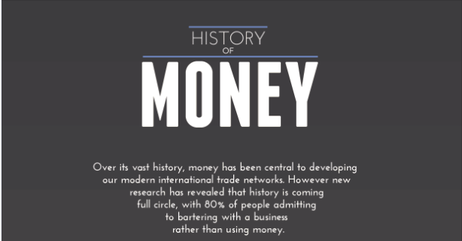 We created an infographic which ran through how paying for things has changed over the centuries - from bartering to Apple pay. This achieved amazing coverage, including the Telegraph. Here, Dominoes joined up with the Teenage Cancer Trust and Lee Nelson - to raise awareness for the amazing charity. For this, we travelled up to Edinburgh to film a video, surprising lucky competition winners with a stand up gig in their living room from Lee Nelson. The campaign received great coverage, including this on the Evening Standard Online. For this piece, we offered This is Money an exclusive story. By liaising with the journalist, we decided to create an advice piece with our client (Just Cash Flow). We created something that the journalist was happy with, but which also showcased the client's campaign objectives. We ended up creating a ‘top tip’ selection - which looked into how to make a successful loan application for Small Business Owners.